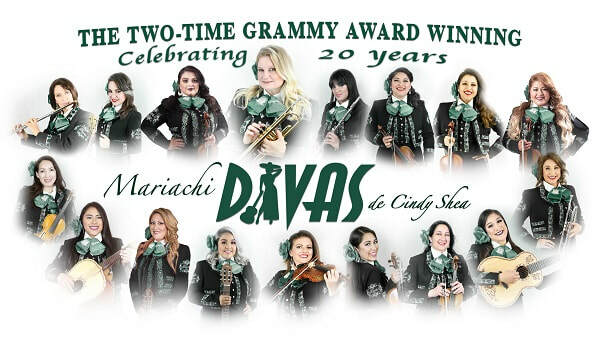 ​Get ready for a south-of-the-border afternoon of cheerful music with southern California’s own Mariachi Divas de Cindy Shea. ​all-female ensemble that continues to push and expand the scope of mariachi music. Since 2003, Mariachi Divas has been the official mariachi of the Disneyland Resort where they entertain audiences of all ages and backgrounds on a year-round basis. In addition to performing regularly at the Disneyland Resort and when they are not busy recording albums, Mariachi Divas and their music can be found in films, music videos, Hallmark greeting cards, and movie soundtracks a well as touring across the United States and Mexico.